Wedding season is here – are you prepared? July and August are two of the most popular months for weddings. Around the world, people are preparing for their special day with all sorts of aesthetic procedures: manicures, pedicures, facial treatments, and hair removal. However, one thing that should be kept in mind is your most memorable keepsake: wedding photos. And the question is, how do your hands appear in those photos? We know your ring is beautiful & everything you ever dreamed of, but are your hands photo-ready or are they photo-aged? Do they look thin, wrinkled, dull and covered with age spots? Don’t settle for photo editing; add something to your wedding day “prep list” that will have you more than excited to show off your ring. Viora’s V-ST and V-IPL treatments are just the thing you need. 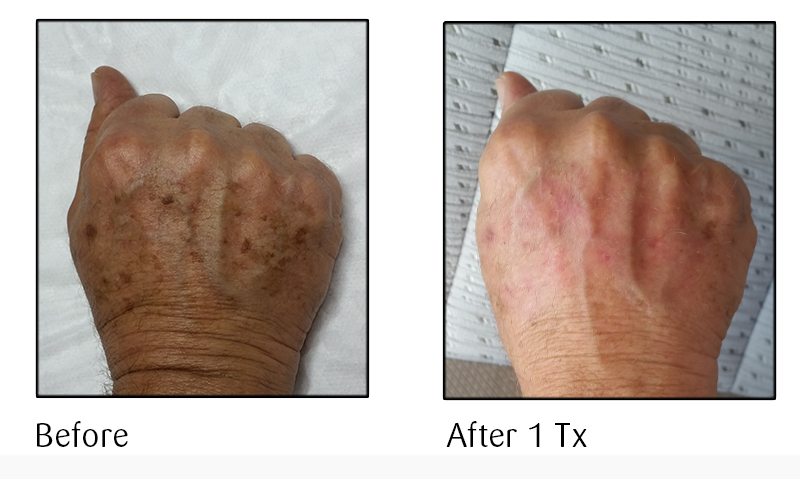 V-ST can maximize the collagen production and add more warmth and fullness to your hands while V-IPL will remove the unsightly age spots and brighten that overall dull appearance. Treat yourself to one or the other, or combine the two to get the full effects and benefits of each treatment. The skin on our hands tends to thin as we age, and veins start to show more which can leave people uncomfortable in showing their hands off in fear of looking older than they really are. Viora’s V-ST handpiece non-invasively stimulates collagen in both dermal layers with CORE technology, the most advanced bipolar radio frequency configuration. With the ability to precisely target the dermal layers on thin areas such as the hands, this is truly the most unique option. There is no downtime with this procedure and it can be done bi-weekly, quickly on your lunch break, in between wedding planning. Viora’s V-IPL handpiece, the latest and greatest IPL solution focuses on the superficial layers of skin while targeting age spots with our proprietary PCR™ technology, while stimulates collagen. PCR™ is designed to treat all ethnicities and all skin types safely and effectively, with little to no downtime. With proven results of brighter, smoother texture of skin, V-IPL is a wonderful option to help you achieve more youthful skin. Your hands will look as young as you feel and your skin will radiate just like that beautiful diamond. Combine both of these treatments to target deep down in the dermis and brighten the outer layers on the same day. Viora knows your aesthetic needs, and we take pride in our ability to customize and tailor our treatment options to each patient. 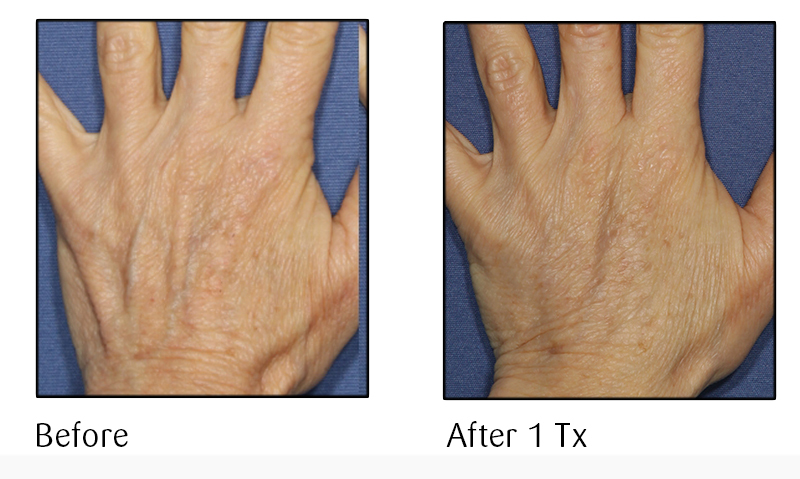 To learn more about how Viora technologies can help you enhance your hands’ appearance, visit our website to find a physician offering Viora treatments in your area. Click here to locate a physician near you!